Inicio/Spanish Language, This is Spain/¿tapa, ración, pintxo o montadito? ¿tapa, ración, pintxo o montadito? 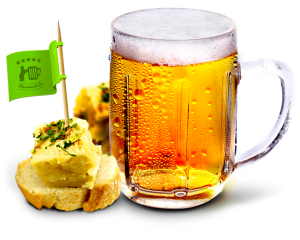 If you are traveling around Spain and you get into a bar (bar, tasca, taberna) you will hear these words every so often: tapa, ración, pintxo and montadito... Some of our Spanish students refer to most kind of Spanish food as tapas, but they are not always right. 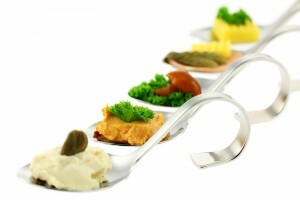 The way food is served and the kind of dish determine its name. Don’t worry! We’ll explain it to you. Keep reading! 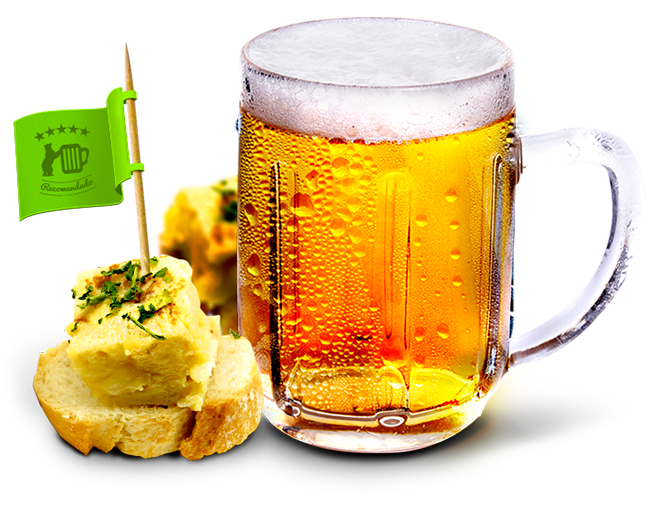 Tapa is a snack offered alongside a beer, wine or soft drink in many areas of Spain. Usually a small quantity of food is offered to accompany the refreshment. Tapa means “lid” or “cover” (the snack was used to cover the top of the glass to prevent flies going into the drink). Granada, Almería or Jaén are known for their free tapas. In some bars, they give you as a free tapa what that have that day. There isn´t a choice. As you drink a second or third round, the tapa offered is different. Some other places have blackboards with lists of tapas that you can ask for. You choose. The free tapa is usually accompanied by beer or wine which costs anything from 1.50 euros to 2.50 euros, depending on the place. But you can also purchase tapas separately in most places. Ración is a portion of a food. Spanish ham (jamón serrano or jamón ibérico) is typically seen served this way. Selecting raciones is a good way to have lunch or dinner with a group by ordering in this way as people share the dishes in the centre of the table. You and your friends can select a few raciones or half raciones, instead of having a formal meal. Mondadito is to Spanish Tapas bars as buffalo wings or beer nuts are to American bars! It’s a tapa-sized rolls of bread or just a sliced bread topped with a variety of appetizers (like an open-faced sandwich: bread just on the bottom). 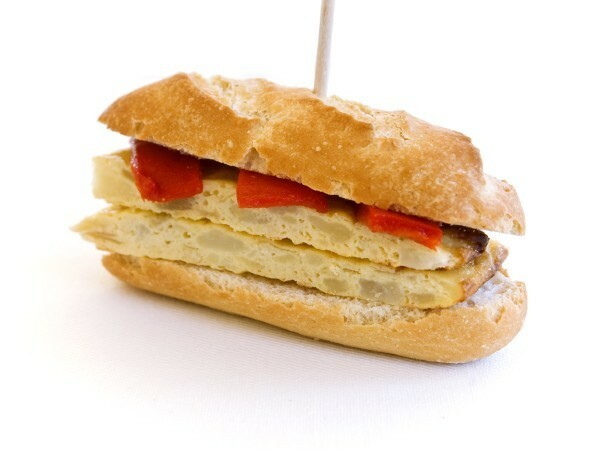 The montadito is a tradition that predates even the sandwich all the way back to the fifteenth century. Mmmmmm. Aren’t you hungry? 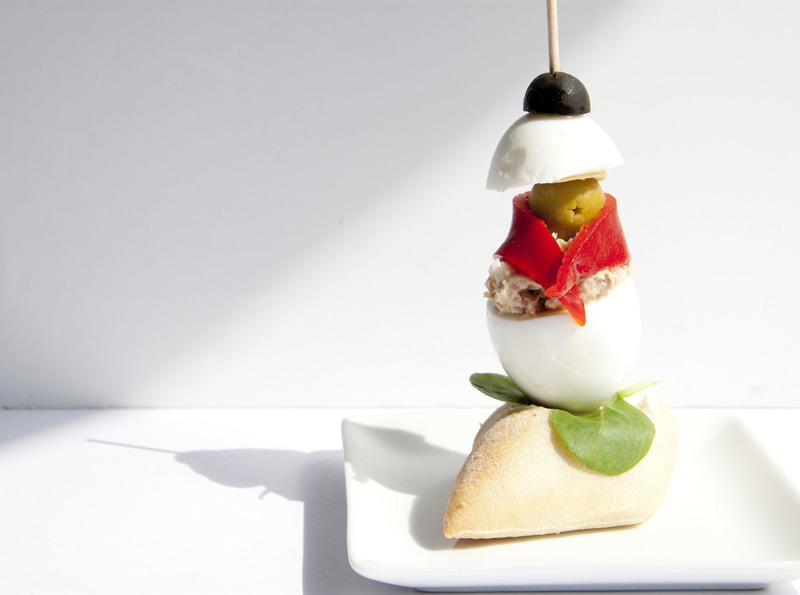 If you want to learn how to order different tapas, raciones, pintxos and montaditos, come to study Spanish with us. You will have so much fun!